Do you remember the 90’s? Do you share my love for Bulgarian’s? If the answer to these questions was ‘yes’ then I can only suggest you read on. Our latest entrant to the Flair Hall of Fame was known as ‘The Dagger’, ‘The Dog’, ‘The Modern Left’ and ‘The Gunslinger’. 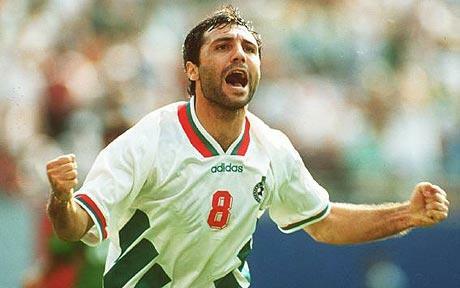 You may know him as Hristo Stoichkov.